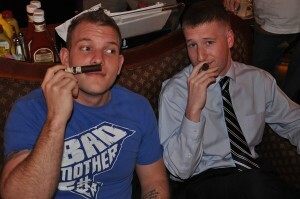 We think we might have stumbled onto a new Freedom Alliance ritual: Cigar Night in the City. It all began with a lady named Beverly, who approached a Freedom Alliance team member at CPAC (Conservative Political Action Conference) years ago, asking for a postcard signed by Lt. Col. Oliver North to send to her son, who was serving in Iraq. During the last five years, she’s collected countless cards from celebrities and the general public to send to soldiers deployed overseas. We connect with Beverly now and again, and this year she mentioned that she wanted to sponsor a dinner for troops from Walter Reed. We were pleased to take her up on the offer. From Walter Reed, we invited our good friend Jeremy, a Marine, who came home from Iraq and Afghanistan with a brain injury caused by exposure to multiple explosions. Another Marine and our new friend David, an Explosive Ordinance Disposal technician, came with his friend Chris. David lost his hand and an eye while trying to disable a land mine in Cambodia. Two staff members from the Marine detachment at Walter Reed accepted the invitation as well. For Gunnery Sergeants David and Robert, this was their first Freedom Alliance event, but they had heard of us from the patients. As it turned out, David (who was also wounded in the war) and Jeremy were in the same unit—2d Battalion, 2d Marines—and deployed to Iraq at the same time. We met together at Shelly’s Backroom, one of the few cigar bars in our nation’s capital, where Freedom Alliance had a reserved section for the night. Beverly, delightful and passionate, showed up with a dozen or so friends, veterans and advocates of our military. Her husband, Judd, is a tobacco connoisseur and specially selected Camacho and Pepin Garcia cigars for the troops and guests to enjoy. The food, the cigars, and the company were all first-rate, and lots of stories and banter circulated the table. Gunnery Sergeant Robert came to join the staff at Walter Reed only three weeks prior, and he’s just a year from retirement. He said it was the most inspiring work of his life. How fortunate we were to spend an evening with such resilient and uplifting characters. 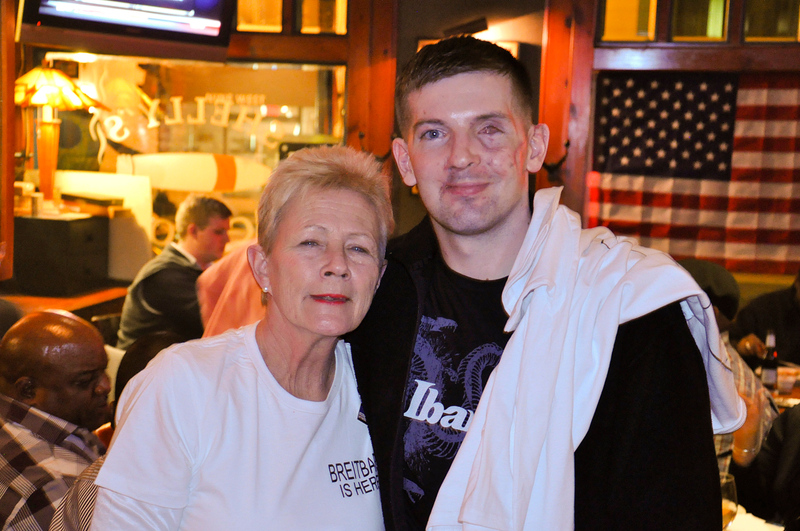 Heartfelt thanks go to Beverly, her friends, and our wounded heroes and staff from Walter Reed.